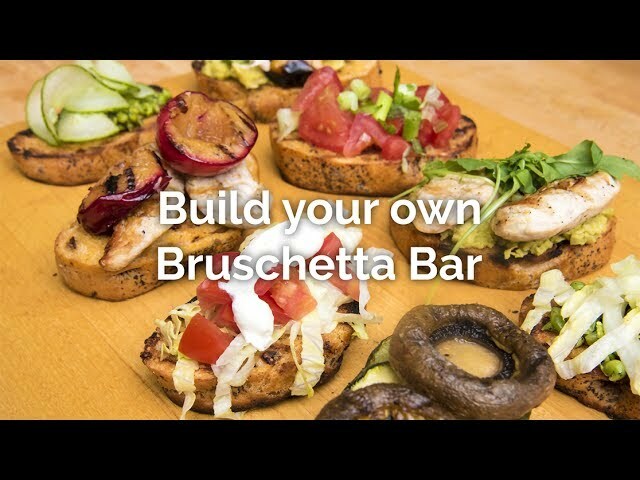 Build Your Own Bruschetta BarYou don't need to go above and beyond to have a great summer BBQ party with your besties. Grab whatever you have in the cupboard/fridge/freezer and turn it into a master piece. For your next BBQ party, why not let guests choose what their hearts desire by building your own tapas style BBQ bruschetta bar! This one also works brilliantly for picnic or if friends are on their way over for a party. It’s super summery and looks like you took loads of time to do it… In reality, this takes no time at all, simply grab everything you have in the fridge or freezer and whack it on the grill, the trick is in the lay out; place on a wooden board to make it look rustic and tell your guests to help themselves from the bruschetta or tapas bar.